Wall paneling is a good idea to go for dashing interior decors and is in trends now! Wood medium is just best for this purpose as low thermal conductivity of wood results into high insulating capability of room interior! Therefore, you can also make your room insulated with wood wall paneling along with a fanciful texture to its interior accent wall! 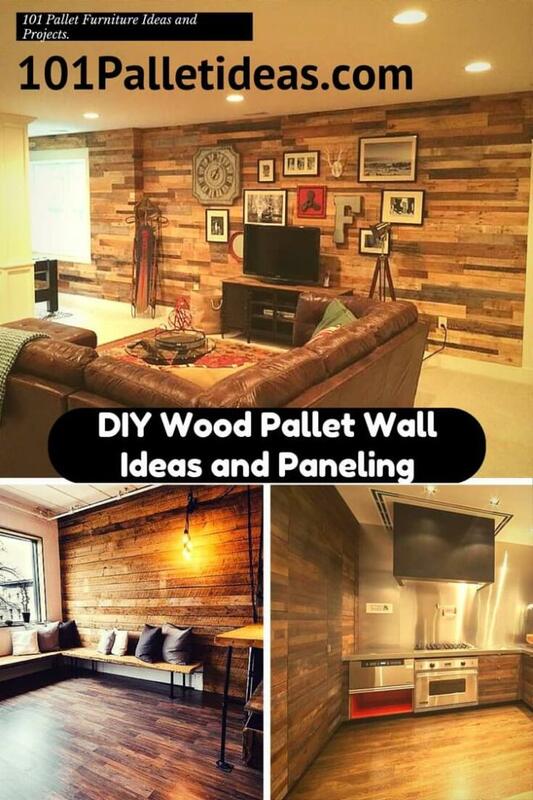 Just in case, if you are not having a whole lot of inspiration about it, then you can simply take a roundup of these DIY wood pallet wall and paneling ideas to borrow some creative tips and tricks and also several different inspirations to go in your own way! There are number of reasons behind selection of pallet wood for interior wall remodeling and covering! Pallet wood is not the raw form of wood, it comes with an already modified and processed form that just saves you from lots of wood cuttings! Second one reason is that pallets are made of hardwood so sturdiness is guaranteed! Free availability, is the third most important reason behind so popularity of pallets and people linked to any income-group can get their hands onto pallets easily! 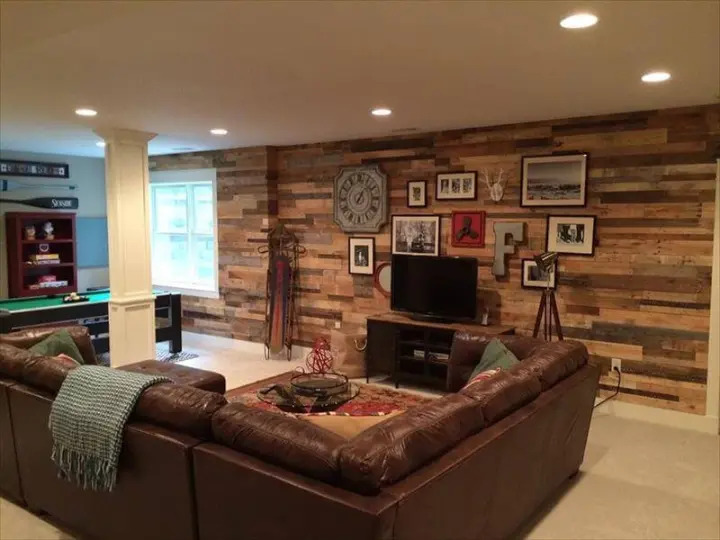 Create rustic statements of decors to your living room interior wall by getting them paneled with pallets! 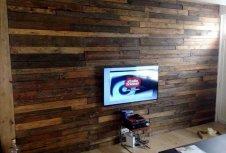 Panel any wall with pallets having greatest number of view daily and get beautiful compliments by the onlookers! Get helped with this inspiration here! 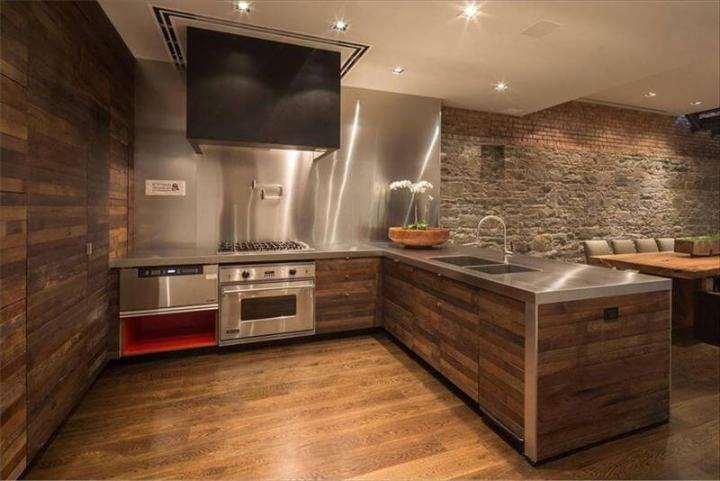 Rusticity of pallets can also blend in beautifully to your modern kitchen interiors! 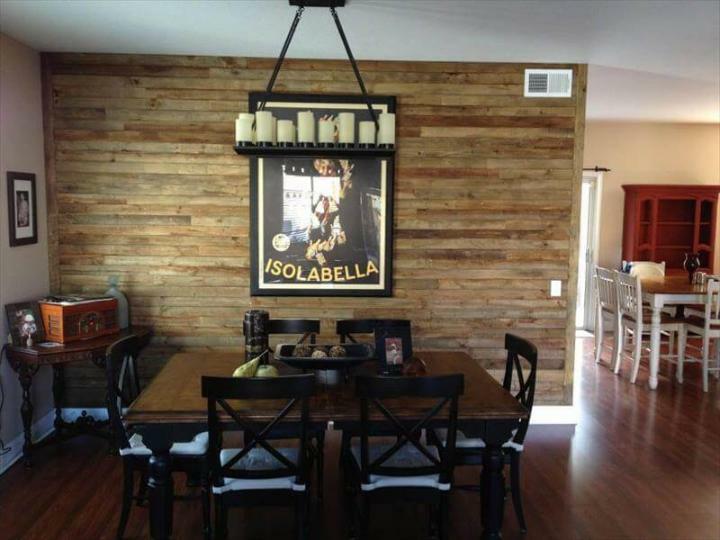 Get the counter sides and kitchen wall paneled with pallet wood for an instant rustic vibe! You can go for some bigger projects using the pallets, just like in this case a whole room interior has been remodeled with pallets! 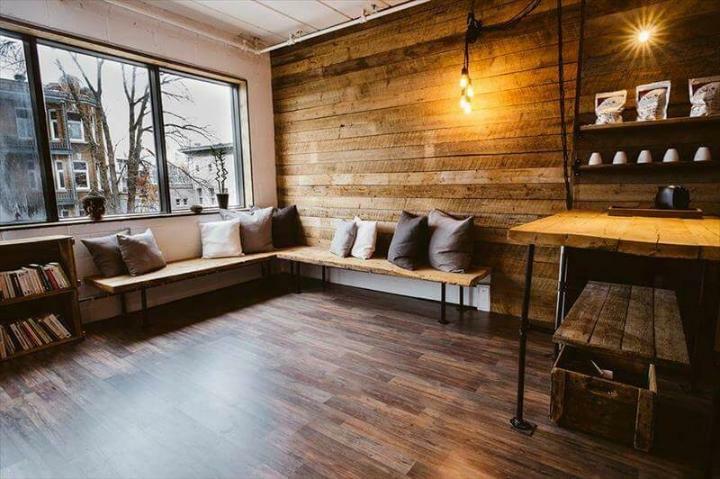 Go for pallet flooring and wall paneling to get your interior spaces vintage inspired this would also be useful idea to provide thermal insulation to your room! Mainly Important Instructions for Pallet Wood Paneling!